In a report published by the Batelle for Kids analyzing the 2014 Value-Added rankings of all 671 public and community school districts in Ohio, Cleveland Arts and Social Sciences Academy (CASSA) ranked highest among all community charter school districts and 9th overall among all districts. Cleveland Arts and Social Sciences Academy earned a total Value-Added Gain Index of 18.42 and a Value-Added Letter Grade of “A.” Cleveland Arts and Social Sciences Academy is one of 15 charter schools in Ohio managed by Mosaica Education. Cleveland Arts and Social Sciences Academy is a tuition-free community charter school serving K-8 students in the Cleveland area. The school focuses on providing students a well-rounded and academically rigorous education through the infusion of art and a global social sciences curriculum, Paragon™. The Paragon™ curriculum, an accelerated learning program proprietary to Mosaica, takes students at CASSA on a hands-on chronological journey through the history of great ideas and people in world culture. “Paragon™ calls on students to transform their classroom into the time and place of their Paragon journey – with the stories, clothing, food, songs, architecture and inventions of the era. As a result, students find their genius and experience a rich and enduring learning experience that stays with them,” says Paragon™ creator and Mosaica co-founder, Dr. Dawn Eidelman. “I want to thank the wonderful staff of CASSA for their commitment to the success of our scholars,” said Head of School and Regional Vice President of Cleveland Arts and Social Sciences Academy Debroah Mays in response to the results from Batelle for Kids. Ms. Mays has led the school for the past seven years, helping ensure a strong focus on the kind of individualized instruction that enables each student to make the highest possible academic progress each year. To learn more about Cleveland Arts and Social Sciences Academy, please visit www.clevelandartssosci.org. In total, nine Mosaica charter schools received an “A” rating in the category of Value-Added Letter Grade in the 2014 Batelle for Kids report. These nine schools are: Cleveland Arts and Social Sciences Academy, Columbus Preparatory Academy, Columbus Arts & Technology Academy, Columbus Humanities, Arts and Technology Academy, Cornerstone Academy, Lorain Preparatory Academy, Foundation Academy, STEAM Academy of Warren, and STAR Academy of Toledo. In alignment with these results, Mosaica Education was recently recognized as the highest performing Education Management Organization in Ohio by an independent report published by the Beacon Journal. Mosaica Education is a leading global education organization that manages K-12 schools and provides educational services around the world. Originally founded (in 1997) as a charter school management organization, today Mosaica Education is the only US-based education organization serving preschool through high school students in public, private, charter and online education settings, in the United States and globally, that has also developed award-winning curriculum. 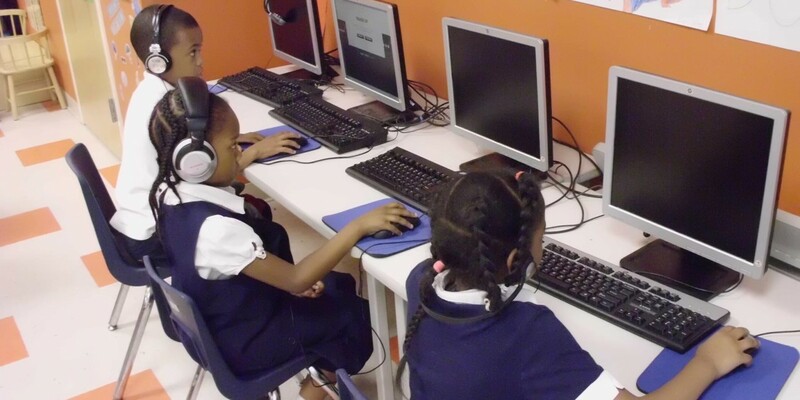 Mosaica Education currently manages over 90 preschool, elementary, junior high and high school programs across the United States, United Kingdom, India and Mexico, and serves approximately 18,000 students.